We were so impressed with Jami’s vision and depth of experience! After working with other designers, it was Jami that designed the right logo and branding to fit our company. Jami performed beautifully in branding our company, designing our website and laying out our print materials. Her work ethic is stellar and she is always fun to work with! A few years back, I had the honor of working with an incredible woman in Atlanta that was on the ground floor of Brené Brown’s highly experiential methodology based on the research, The Daring Way™. Through this initial connection, I found myself in a delightful referral chain where I have been able to work with several counselors and therapists who have completed or are in the process of completing their Daring Way™ training. In September of 2014, I was honored to be contacted by Carly Hanna, office manager for The Lovett Center, a community of helping professionals. 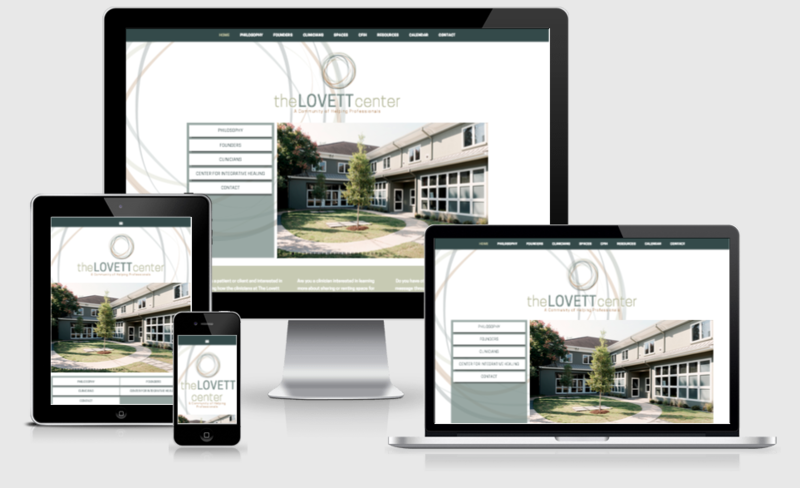 Given my personal interest in coworking and collaborative work spaces, I was immediately interested in The Lovett Center because of it’s teamwork-makes-the-dreamwork approach to therapeutic work with their clients. In addition, one of the founders of The Lovett Center, Robert Hilliker, served as the Chief Clinical Officer for over three years, working alongside Brené Brown with The Daring Way™. I was charged with taking over the project after a run with a different designer didn’t work out and I was tasked with branding, web development, social media asset design and print asset design. It was a super fun project and such a cool way for me to, yet again, have a connection with The Daring Way™.